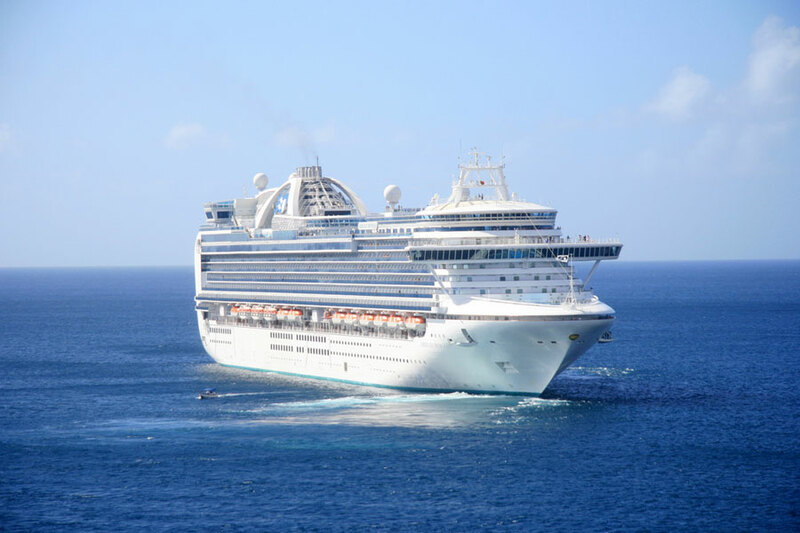 A 12-year old boy was medevaced from a Princess cruise ship due to abdominal pains on Sunday. Heavy fog also delayed the ship’s arrival into Houston. The Caribbean Princess which is operated by Princess Cruises was just 10 miles offshore Galveston, Texas on Sunday evening. The young boy who was suffering from abdominal pains was transferred to the U.S. Coast Guard at around 5:25 PM. Thankfully the boy is now in a stable condition at the University of Texas Medical Branch in Galveston. Also abc13 News reports the Caribbean Princess was delayed by heavy fog in the area and as a result didn’t arrive back into the Bayport in Houston until 7 AM Monday morning. Passengers had to spend an extra night onboard. The ship anchored not far from the port overnight. Today’s scheduled arrival of Caribbean Princess into the Port of Houston has been delayed due to heavy fog, causing the closure of the Bayport Cruise Terminal. These conditions are expected to persist through Sunday night and Caribbean Princess will return to port on Monday morning, with an expected arrival of 7 am. We are currently communicating with those guests who remain onboard and those guests joining the next cruise with revised arrival and departure times, as well as guidance and assistance with travel arrangements. The delay will necessitate a change to the next planned cruise itinerary but at this time we are unable to determine the full impact. Embarking guests will receive a one night per diem for the day missed onboard in the form of an onboard credit. The cruise line has confirmed with us that the Caribbean Princess has now docked safely at the Bayport cruise terminal in Houston. Caribbean Princess was scheduled to sail a 7-night Western Caribbean cruise including calls at Grand Cayman, Costa Maya and Cozumel departing on November 29. Cruise Hive contacted the cruise line regarding the delayed arrival. The ship is 113,000 gross tons and can carry over 3,000 passengers at double occupancy.